IF YOU BRUSH YOUR TEETH AND STILL HAVE A BAD BREATH, THIS MIGHT BE THE REASON! Halitosis or bad breath has various causes. Sometimes it is a result of a poor diet with the bad breath originating from the stomach. At other times, it may be the result of poor dental hygiene. That said, people who eat a healthy diet and properly care for their teeth may not only have bad breath, but rancid breath. 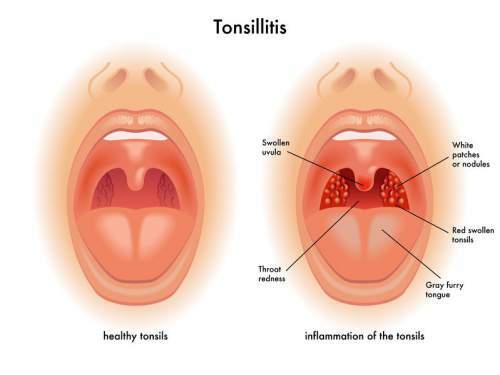 In such cases, the cause may actually be tonsilloliths or tonsil stones..
What are tonsil stones? As the name suggests, they are stones comprised mainly of calcium deposits in the palatine tonsils. The stones also contain carbonate, magnesium, phosphorus, and ammonia. These substances often have a natural unpleasant odor about them. That said, they do not pose a health threat. As you will see in the video, they can actually be removed with relative ease (aside from a likely gag reflex). For those not wanting to remove the stones using this method, gargling with salty water can loosen and remove the stones as well. In extreme cases, it may require removal of the tonsils to resolve the buildup of stones and their concomitant bad breath. Still, the most common method for removing the stones is the one displayed in the video.